I have been intrigued by the weekly photo challenge entries for the last few months and decided I would like to participate someday. What better time to get started than on the first day of the new year with the prompt “circle”? 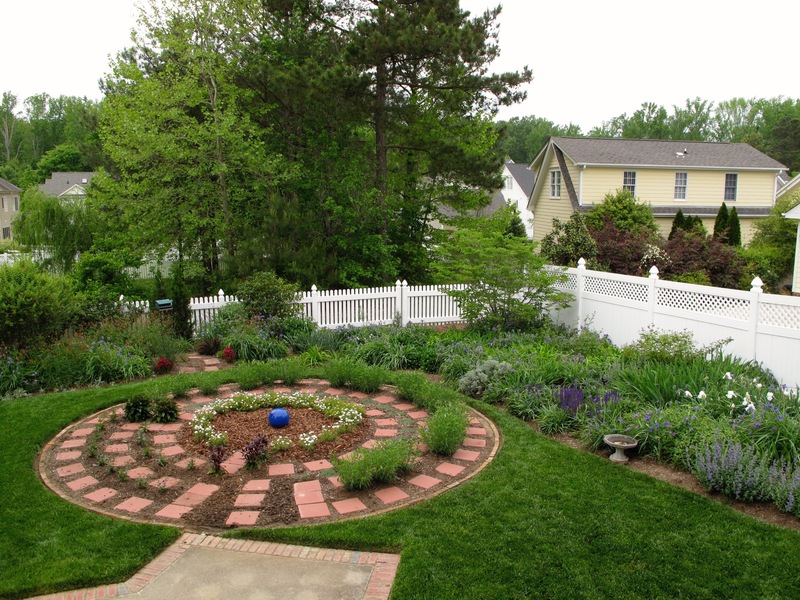 This photo shows the meditation circle in April 2012 when the labyrinth was a year old and the plantings forming the walls were becoming established. This entry was posted in garden and tagged circle, labyrinth, meditation circle, meditation garden, meditation path, photo challenge on January 1, 2016 by pbmgarden. Somehow I expected that you would respond with your circle. It is very special. Great choice for this challenge Susie! Good image, your meditation circle is admirable as always. Thanks. I like the way the circle looked back then. It’s a bit overgrown now. I like the tidier look. You certainly were well-positioned to meet the “circle” challenge.